Recently awarded Edinburgh Hotel of the Year 2008 by Hotel Review - Scotland, this stylish and contemporary design hotel is conveniently located in the heart of the city. In the shadow of Edinburgh Castle, the Mercure Point Hotel is just minutes away from all that Edinburgh has to offer, including the city's shops, the financial district and the Edinburgh International Conference Centre (EICC). The hotel boasts 140 beautifully appointed modern rooms, including a number of superior rooms enjoying spectacular views of Edinburgh Castle. A team of friendly and motivated staff strive to ensure a truly memorable stay. The bold building features powerful design throughout, from the foyer - a striking space where glazed walls combine with clean, vibrant colours - to the Monboddo Bar, with its comfortable, chic leather seating. 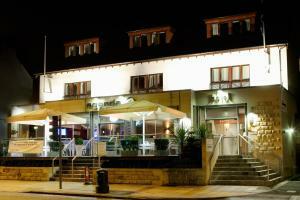 The excellent Restaurant Point offers award-winning food and excellent service. Nvar House is a 4 star bed and breakfast located less than 1 mile from Edinburgh's famous princes street, with great transport to and from the city. We are also just 3 miles from the city bypass. all rooms have en-suite bathrooms, flat screen TVs with selection of movies, complimentary refreshment trays and Wi-Fi. We also serve breakfast in the comfort of your room each morning. This Georgian town house is within 1.5 miles (2.4 km) of Edinburgh's major attractions, including the Castle and the Royal Mile. Start each morning of your stay with a delicious continental breakfast before heading out to discover all that Edinburgh has to offer. Overlooking Leith Links, originally a golf course in the 15th century, the house is also close to the Royal Museum of Scotland and Holyrood Palace. The Royal Yacht Britannia is berthed at Leith, which is a 10-minute walk away. In the heart of Edinburgh, overlooking Princes Street and Edinburgh Castle, these luxury serviced apartments are spacious, modern and stylish, with free Wi-Fi and fully equipped kitchens. At 16 Waterloo Place, right in Edinburghs city centre, Princes Street Suites are 200 metres from Edinburgh Waverley Railway Station, 2 minutes' walk from St Andrew Square and Harvey Nichols. 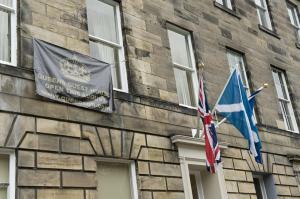 The Scottish Parliament, Edinburgh Castle, the Royal Mile, Princes Street and transport links are a short walk away. Ideal for short or long stays in Edinburgh, each chic, sophisticated apartment has a kitchen, a bathroom and a lounge area with a TV and DVD player. The kitchens have ovens, hobs, refrigerators and freezers (most also have washing machines and dryers). The rooftop terrace has stunning panoramic views of the city and is a great place to enjoy the annual Edinburgh International Festival Fireworks, held each August in Princes Street Gardens. This small, intimate townhouse has a popular, family-run bistro, stylish rooms, original Georgian features and a peaceful setting within walled gardens. 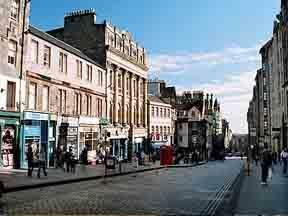 The family-owned Salisbury Hotel is located within a conservation area a 15 to 20-minute walk from the Royal Mile, Castle, Royal Museum and Holyrood Palace. The fine service is discreet and laidback. Each luxury room blends period features with a contemporary decor. All rooms have free Wi-Fi, an LCD flat-screen TV, an iPod-docking station and Gilchrist & Soames toiletries. Gabbro Bistro serves Scottish cuisine with a Mediterranean vibe. Enjoy al fresco dining and drinks in the walled gardens in summer. Near the Royal Mile, these cheap, city-centre university rooms are a 10-minute walk from Waverley Station and close to the National Museum and Edinburgh Festival Theatre. 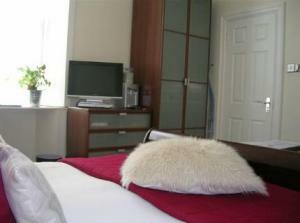 The private bedrooms are within a shared apartment leased from Edinburgh University during student holidays. The lounge, kitchen and bathroom facilities are shared. Euro Hostel Edinburgh Halls is walking distance from Edinburgh Castle, the Palace of Holyroodhouse and Grassmarket. Some drinks and snacks are available from the Euro Hostel reception, as are Edinburgh Sightseeing Bus Tour tickets. Enhance your visit to Scotland's vibrant capital city with the space and luxury afforded by the excellent quality assured apartments from Apartments Royal. With prime city centre locations, these apartments offer the perfect base from which to explore the city, with Princes Street, Waverley rail station and all attractions within short walking distance. Each of these apartments offers something different and is unique for visitors, so please check the individual apartments for the exact location and facilities of your preferred apartment. In the heart of the historic New Town, Royal Garden Apartments offer spacious, comfortable accommodation, just a 3-minute walk from Princes Street and Waverley Train Station. There are a range of 1 and 2 bedroom serviced apartments, all with a lounge/dining area, TV, DVD player and en suite bathroom facilities. Each apartment has a well equipped kitchen, with facilities including a dishwasher, fridge, washing machine and microwave. Guests have reduced rates for a 5-star gym. There is an attractive landscaped garden and access to Queen Street private gardens. Ailanto is an on-site beauty salon, offering a range of relaxing treatments. There is a 24-hour reception and broadband internet access is available at an additional cost. Within easy reach of Edinburgh city centre, this charming Victorian town house offers good value for money and warm, comfortable en suite accommodation. The hotel is personally managed by your host, David, who will make sure you receive a true Scottish welcome and are well looked after during your stay. Room rates include a hearty Highland breakfast. 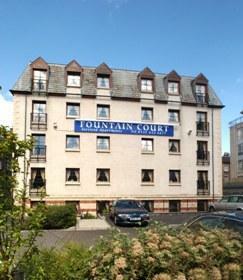 The hotel is conveniently close to the city centre, and free, secure parking is available. A regular bus service runs from just outside the hotel to the city centre, which is just 10 minutes away. 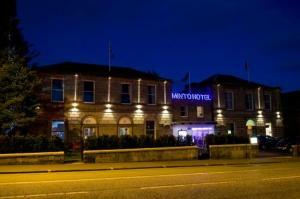 The hotel is close to the city centre, but enjoys a comparatively quiet setting away from the busy nightlife. Ideally situated in Edinburgh's New Town, Queens Guest House is a grand, elegantly restored Georgian town house, with exclusive access to the picturesque Queen Street Gardens. All of the stylish, contemporary rooms are spacious and comfortably furnished. Each room has en suite facilities and an LCD TV. An excellent breakfast is included, ranging from a full Scottish breakfast to continental and vegetarian options. The main shopping area of Princes Street and Waverley Train Station are just a short walk away. Free Wi-Fi internet access is available for guests. Following a change of ownership and a stylish refurbishment, this hotel offers a distinctive, comfortable and friendly destination, conveniently situated for access to Edinburgh city centre. Popular with local residents and visitors to the city, you are offered the level of service you would expect from an established city hotel. The hotel now has a chic new bar serving great pub meals, a contemporary restaurant serving exquisite meals in the evening, and a function room which is popular for weddings and corporate events alike. In a superb central Edinburgh location on the Royal Mile, Brodies offers dormitory-style rooms in a unique setting with a lively, friendly feel. 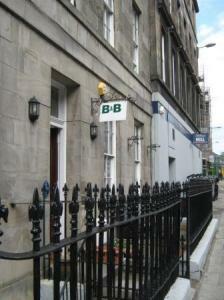 As one of Edinburgh's smallest hostels in terms of numbers of guests, it is easy to relax after a busy day. With a welcoming atmosphere and pubs, clubs and history right on your doorstep, Brodies is one hostel you might find hard to leave. 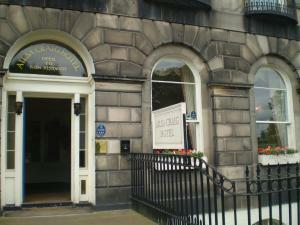 In the heart of Edinburgh's beautiful New Town area, just 800 metres from Princes Street and the heart of the city, this magnificent Georgian building is now a luxurious and elegant 4-star hotel. 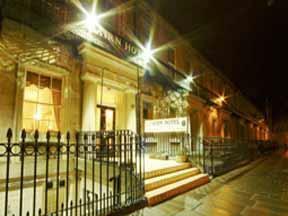 In this exclusive residential area, rich in beautiful Georgian architecture, the Christopher North House Hotel offers fine boutique accommodation, luxurious comfort and excellent service in romantic, opulent surroundings. Completely refurbished, the stylishly decorated and tastefully furnished rooms boast modern comforts and facilities, including 42-inch plasma flat-screen TVs, baby listening facilities and luxurious toiletries and bathrooms products from Molton Brown. Free wireless internet access is available throughout. With a warm, relaxing atmosphere, the Mozart Kaffee Haus is excellent for a pre-dinner drink. Stylish, intimate and refined, the Bacchus Restaurant offers fine dining, with an eclectic menu of dishes made using the finest, freshest organic seasonal produce available locally. The heart of Edinburgh's city centre and the business district of Charlotte Square are just a 5-minute walk away. Situated 5 minutes' walk from Princes Street and convenient for shops, theatres and nightlife, this budget non-smoking hotel is part of the Cairn group; ideal for holidays or business. Close to Edinburgh's Calton Hill, this city centre hotel is a fantastic place from which to explore the area and discover what goes on day and night. Especially when Carlton Hill, Princes Street and various gardens and parks are all close by. 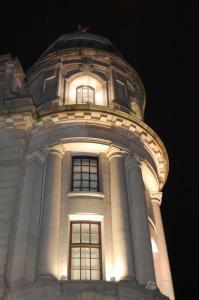 In addition, the Playhouse Theatre is only 5 minutes' walk away. The hotel is in an ideal location for the business and leisure traveller alike, situated close to the city and public transport routes. For those days when relaxation is preferred, the lounge with its plush armchairs, sofas and coffee tables, is the ideal place. Situated on an elegant tree-lined terrace, in the heart of Edinburgh's city centre, most of the rooms have panoramic views over the Royal Terrace gardens or over the hotel's own private gardens. The Ailsa Craig Hotel was designed by the renowned architect William Playfair as a family town house for a wealthy merchant. Originally built in 1820, this traditional Georgian building has now been tastefully refurbished, with new carpets and new decoration throughout. The house's original fine architectural features have been carefully preserved and combine with contemporary comforts and facilities, such as free Wi-Fi. All of the rooms are centrally heated, with TVs, tea/coffee making facilities, hairdryers and telephones. Most of the rooms are en suite, with 2 rooms having private bathroom facilities outside the room. Located at number 24 Royal Terrace, the hotel is just 10 minutes' walk from Princes Street and all that the very heart of Edinburgh has to offer. This early Victorian town house is situated on the promenade in Portobello, a charming and distinctive district of Edinburgh. Several of our guest rooms have fine views of the Firth of Forth. Local amenities include a sport centre, swimming pool, and not far from Musselburgh, horse race course and golf clubs. Local amenities are excellent and include various restaurants and takeaways, sundry shops and traditional pubs. This house is a non-smoking establishment. A warm welcome is assured at this attractive stone Victorian terrace house, conveniently located just over a mile south of Princes Street on the main A7. Well located for all Edinburgh's amenities, Gifford House offers a pleasant, relaxing stay, with rooms of a high standard. Although lying on a main bus route, the area behind Gifford House is quiet and peaceful, and the rear bedrooms enjoy superb panoramic views towards Salisbury's Crags and the extinct volcano of Arthur's Seat. With its warm and friendly atmosphere, Gifford House is a place guests return to, and recommend to their friends. A full Scottish breakfast is served, with a large selection of dishes including smoked fish, mackerel and kippers. Special diets are also catered for if required. 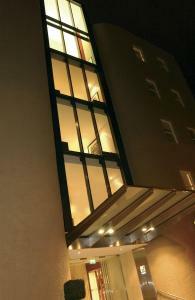 Southside is a stylish and welcoming Guest House in the heart of the city close to the Old Town. 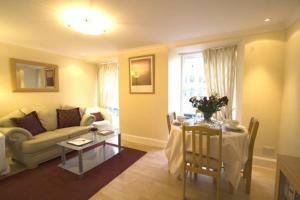 It provides very comfortable accommodation in a contemporary, smart decor in a period setting. Southside is an exclusive Guest House providing an elegant home in the heart of the city. The eight stylish en-suite bedrooms, which include two Four Poster Rooms, have been designed to be as individual as our guests. Several leading Hotel and Travel Guides feature Southside and many guests regularly return and warmly recommend us. If you are seeking somewhere unique and memorable for your Edinburgh visit, Southside is an excellent choice. We look forward to welcoming you. This family-owned and run hotel in the eastern suburbs of Edinburgh is convenient for the city centre and only a short walk from the beach. The Best Western Kings Manor Hotel offers 95 bedrooms, all of which are being constantly upgraded to exceed the expectations of guests. All rooms have en suite bathrooms, and most rooms feature a flat-screen digital TV. Lauders Restaurant offers tasty hot and cold breakfast and an interesting ? la carte menu for both lunch and dinner. Options Bistro offers snacks and more substantial meals from 10:00 to 22:00 seven days a week. BarZest is the main bar, and offers a wide range of beers, wines and other drinks in a friendly atmosphere shared with 'locals'.